Gotham City, at the turn of the century, is experiencing a golden era of discovery and industry as showcased by affluent businessman Bruce Wayne's World Fair. Down in the darkest alleys, there is a killer on the loose. Preying on the city's women, this killer is as precise as he is cruel. 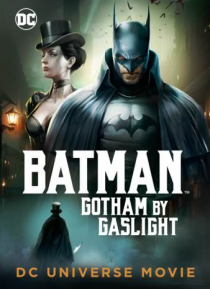 As Police Commissioner James Gordon tries to calm the fears of Gotham's citizens over the butcher named Jack t… he Ripper, the masked vigilante Batman does some detective work of his own, with the help of the sultry and surefooted Selina Kyle. Witness a world in flames as the killer's controlled savagery meets the calculated stealth of the Dark Knight!